26/11 anniversary: Why is US offering $5 million reward for info on attackers 10 years later? Announcing the bounty, the US Secretary of State Mike Pompeo said that the US stands with the 26/11 Mumbai attacks' victims and their families and that the nation was committed to finding these terrorists and ensuring that they face justice. Monday, November 26, 2018, marks the 10th anniversary of the 2008 Mumbai terror attacks, which killed 166 people and injured more than 300. In tune, the United States has announced a $5 million reward for information on all the terrorists with links to the massacre. "The United States is committed to working with our international partners to identify and bring to justice those responsible for the 2008 Mumbai attack," the State Department said in a statement, adding that the amount would cover "any individual who committed, conspired to commit, or aided or abetted in the execution" of the attack. US Secretary of State Mike Pompeo also said that it was unfair that the families who lost their near and dear ones in the attack were still awaiting the terrorists' conviction. He went on to add that the US stands with them and that the nation was committed to finding these terrorists and ensuring that they face justice. However, one cannot help but wonder why the US has made such a move 10 years after the 26/11 attack. Could it be the Trump effect? President Donald Trump, since the time he assumed office, has been urging Pakistan to impose sanctions on terror groups and also flush out terrorists from its soil. Relations between the two nations have soured since, and just last week, Trump had lashed out at Pakistan saying that the country has done nothing for the US even though the latter has supported it with aid worth millions of dollars until now. "You know, living - think of this - living in Pakistan, beautifully in Pakistan in what I guess they considered a nice mansion, I don't know, I've seen nicer. But living in Pakistan right next to the military academy, everybody in Pakistan knew he was there," Trump said in an interview with Fox News. "And we give Pakistan USD 1.3 billion a year. ... (Laden] lived in Pakistan, we're supporting Pakistan, we're giving them USD 1.3 billion a year -- which we don't give them anymore, by the way, I ended it because they don't do anything for us, they don't do a damn thing for us," he added. The Trump administration has now cancelled the military aid to Pakistan, something that other presidents never have. Pompeo too has demanded that sanctions be placed on terror groups in the country. "We call upon all countries, particularly Pakistan, to uphold their UN Security Council obligations to implement sanctions against the terrorists responsible for this atrocity, including Lashkar-e-Tayyiba and its affiliates," he said. Meanwhile, US officials, former diplomats and other experts believe that another such terror attack in India originating in Pakistan would lead to a full-blown regional war. 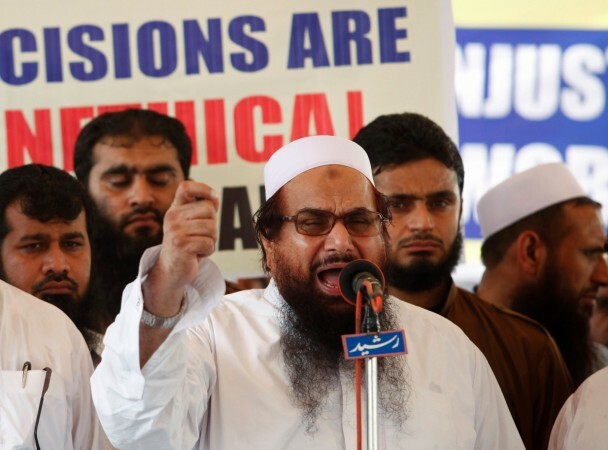 The fact that Jamat-ud Dawa (JuD) chief and mastermind of the 26/11 Hafiz Saeed roams free in Pakistan already irks India, and another attack would worsen things. "The victims of 26/11 have yet to see the masterminds of the attack in the LeT and the Inter-Services Intelligence (ISI) face justice; unfortunately, that is virtually impossible in Pakistan," former Central Intelligence Agency (CIA) official Bruce Riedel told the Press Trust of India. "If another attack of this magnitude occurs, there will be war." Pakistan's former envoy to the US Husain Haqqani also said that tensions would massively escalate if terrorists carry out such attacks in India and the implications could not be predicted. He added that Pakistan must keep its promise of punishing those responsible for the attacks. "That it has chosen to let them operate freely raises the justifiable concern that Pakistan's deep state does not want to deter or punish terrorists responsible for attacks in India," he added. A senior former Obama administration official said that a regional war would take place if there was another such attack. Speaking of India's response, the official, on condition of anonymity, said that PM Modi has already made the nation's stance clear with the surgical strike and clearly will not hesitate to take Pakistan to task. "So, when you're talking about what could happen in the region, if there was another Mumbai attack after the Pakistanis have promised there's no terrorists operating in our country and we're going after all of them, I could see a scenario which quickly escalates into a regional war," he told PTI. 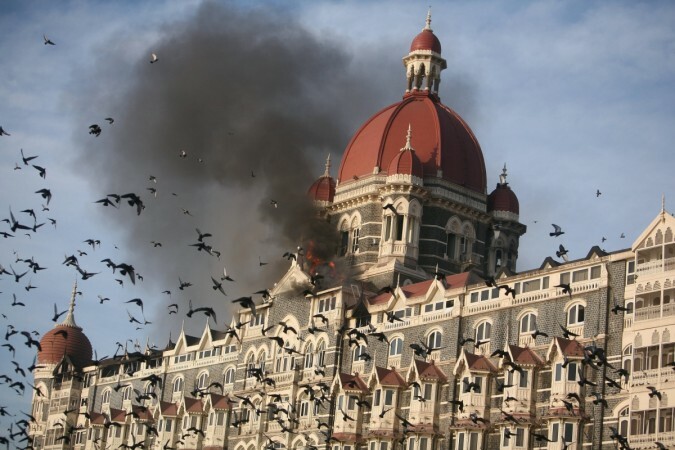 The Mumbai attacks were carried out at various locations in the city, with six places— the Taj Mahal Palace, Chhatrapati Shivaji Terminus, Leopold Cafe, Nariman House, The Oberoi, and Cama Hospital — seeing the most casualties. 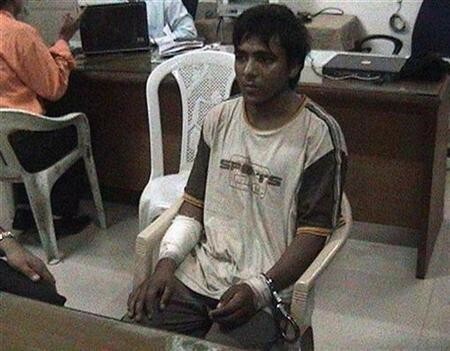 Terrorist Ajmal Kasab was captured alive, convicted and hanged on November 21, 2012. The same year, the US had also announced a $10 million bounty on Saeed, a move that the JuD termed "yet another attack on Islam and Muslims."